Here are 3 ways to enhance spinal mobility. Going into flexion helps relieve tension through both the lumbar and thoracic perispinals. Progressing from hands to forearms increases the need for anterior core activation bringing the ribs down. Not only will you gain mobility but also get a nice abdominal workout in the process *Note* focus on Breathing fully exhaling going higher into the stretch with each exhale. Try going for 5 breaths at a time rest and repeat. Bear crawls are a great bang for your buck exercise to work on close chained core shoulder stability, anterior core strength with a reciprocal pattern. One also has to control rotatory stability. Backward also works some scapular upward rotation. Start of by getting comfortable with the position. Get in a quadruped position and lift at the knees about 2 inches and hold for around 10 breaths. Once comfortable go for a stroll! Practice both forward and backward. *Add a dowel or cone into the mix and this will help improve lumbopelvic control (just don't let it fall)! Often times we tend to extend through the lumbar spine instead of from the hips. Learning to disassociate one from the other can help improve lower back health. Here are a couple of exercises to work on. 1) Flexing the opposing hip during a Single Leg Glute Bridge will help you reach full hip extension on the working leg. 2) When performing a Bird/Dog exercise make sure to flex the lumbar spine to focus on extending through the hip instead of the spine. A good way to create anterior core tension with a hinge pattern. Often times we lose lumbopelvic stability while doing deadbugs. This lack of control may turn a great exercise into a not so favorable one. A physioball is a great tool to create tension through the core, pulling the rib cage down promoting proper spinal alignment trough full range of motion. A good cue here would be to keep the back flat against the floor... or in this case the table. Two easy core exercises you're not doing... and should be! When it comes to training the core musculature people often default to working the superficial core striving for those 6 pack abs and forget about the underlying deep core musculature. Anti-rotation exercises are a great way to target these deep core stabilizers and improve one's functional strength. Here is a great progression to the Super Clam exercise used by @feldmanpt we like this variation to engage your anterior core, control rotatory stability. You get some good glute med and lateral trunk activation as well. We all know blood flow is essential for the human body. At first glance, it may not seem healthy or beneficial to occlude blood flowing anywhere in our body. Blood flow restriction (BFR) is a concept that has been around for a long time, but in recent years, we have begun to thoroughly understand its formidable implications in both the rehabilitation and strength worlds. BFR treatment is a form of therapy that utilizes a cuff, wrap, or band around the arms or thighs to occlude venous blood flow while maintaining arterial flow. This means that blood can get into the working muscles, but cannot get out, creating a blood pooling effect in the extremities being trained. As a result, muscle growth stimulating factors accumulate in the area. It also leads to quicker fatigue of the working muscles, which in turn recruits and activates more fast twitch muscle fibers, further aiding in overall muscle growth. Granted, this is just the basics. The description above only scratches the surface of the mechanisms behind how and why BFR works, and the numerous benefits it offers. BFR allows muscle to grow at a faster rate than regular strength training. It achieves this growth without the typical damage to muscle fibers that is associated with muscle gain through lifting heavy weights. Therefore, BFR has fantastic implications for individuals during rehabilitation following surgery. Additionally, BFR is a great tool to enhance strength gains in bodybuilders and athletes of various sports. Along with increased muscle strength, it can be used with a variety of exercises to assist in facilitating improved power, speed, and even endurance. The particular exercises used with BFR will depend on an individual’s particular goals, sport, or muscles affected by surgery. Here is an example of BFR being used while performing a long-arc quad. Note: There is no particular patient case involved here. It is just a simple exercise being performed to illustrate the use of BFR. Ultimately, BFR has been gaining much more popularity recently, especially in the physical therapy and strength and conditioning worlds. Contrary to previous myths and beliefs, BFR is actually a very safe form a treatment when performed correctly. Whether you are recovering from a recent surgery or want to improve strength for athletic performance, BFR can be a beneficial tool used to aide in that process. It is important to note that BFR alone is not the only answer to help you reach your goals. It is extremely effective, especially when used in conjunction with other techniques and exercises. If BFR is something you are interested in, come see us at Soul Physical Therapy in Beverly, MA, or reach out to your PT or strength coach about it. We got our BFR occlusion cuffs from Erson Religioso’s Edge Mobility System. For more information, check out his website: www.modernmanualtherapy.com. Forward momentum during a lunge can cause the knee to go over the toes. When this happens it increases stress on your knee cap. For those suffering from knee pain, this is not ideal. However, over time we need to re-introduce this movement because it is required for sport and other activities of daily living. Reverse lunges are a great way to introduce unilateral movements. Unilateral movements are great for rehab because of the stability requirements. Typically when people sustain an injury they avoid loading through the affected limb and lose some stability. Lunging can help increase your athletic potential, by helping you be stable to cross someone up like Iverson or be strong off the blocks during the 100-meter dash like Usain Bolt. For strength athletes, single leg loading promotes strength and size gains in the lower extremities and throughout your trunk. The reverse lunge is a great way to initiate lunging into a rehab program. This is due to the shin angle remaining vertical as well as not having the strong deceleration forces on the knee as seen in a forward lunge or traveling lunges. Typically we start with the affected side being the front leg and progress to the affected side going back because of these deceleration forces. A great way to progress into performing reverse lunges is to use the EDGE Suspension Trainer initially to assist the movement. Focus should be on getting a feel for sitting back into the lunge engaging the hinge pattern for better posterior chain recruitment. A great progression from this movement in a single limb squat with your non-stance leg behind you. This allows for some increased shin angle which will transfer to sport. We like this vs a pistol squat because the non-stance leg is behind you vs in front of you mimicking sport better. Because we love you so much here is another bonus progression of a reverse lunge for you athletes out there. This movement requires more dorsiflexion but translates very well to the playing field. The hip flexion at the end of the movement helps achieve full triple extension as well as mimicking the initial step when sprinting. Hence the name "Sprinter Starts". A sprained ankle can take a good chunk off your athletic season away. 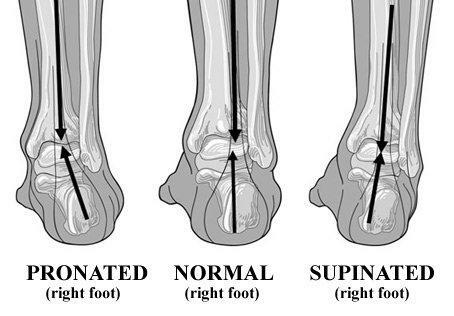 The truth is weak ankles can contribute to many structural as well as performance issues. If the ankle has a poor ability to maintain a neutral position it may lead to a collapsing of the arch A.K.A Flat Feet. When you lose the ability to maintain an arch you also fail to distribute force properly across your feet, inevitably creating a loss of force production. This loss in efficiency, other than hindering you from finally throwing down a dunk, can also increase the chances for injury upon landing. 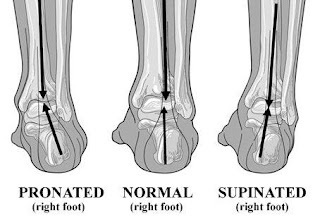 When there is a structural change in the ankles there is a ripple effect on the adjacent limbs. This is called the kinetic chain. 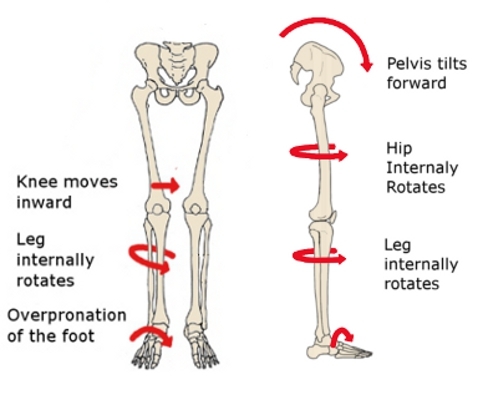 As the foot rolls inward it internally rotates the leg collapsing the knee inward and tilting the pelvis. This position has low structural integrity and when placed under external load, as with a barbell squat or during landing, can cause an issue at any of the previously mentioned joints. WORK ON SINGLE LEG BALANCE! When thinking about the kinetic chain one must think of it as a whole. This is why multisegmental coordination is key when it comes to balance. In this case, isolating individual muscles will not elicit the same results. Shout out to Joel Seedman for this great exercise to work on balance. Notice in this close-up how I struggle to keep control of my arch while passing the weight. The weight pass, as we respectfully named it, is designed to work on single leg stability while shifting the load from one side of your body to the other. When the weight is on the side of the stance leg, it will engage the muscles that pronate the foot and when it is on the opposite side you are training the muscles that supinate the foot. The key element here is the shifting of weight and the ankle's adjustment to this dynamic external load which increases ankle stability. When training unilaterally (on one leg) you automatically engage the core by working against trunk rotation and flexion, working the muscles that control the pelvis consequently improving spinal alignment. Because the knee is mostly influenced by what's happening in the joints above and below it, improving ankle and hip control will help prevent the onset of knee pain as well. Single leg stability is essential for proper ankle control. Think about it. When you run you are never on both feet at the same time. So if you go for a run every morning add single leg stability exercises to the mix and reap the benefits! Who doesn't love taking a quick glance at yourself in the mirror to check your pump after a nice set of bicep curls? Mirrors are a great tool for physical therapists, personal trainers, powerlifters, or even the average weekend warrior. They can be very helpful when used to maintain or correct proper form and positioning during an exercise. However, there are also times when mirrors can have unfavorable effects. Check out this video of a single leg deadlift being performed in front of a mirror. The mirror encourages the individual to maintain constant eye contact with himself in the mirror throughout the entire movement. While approaching the bottom portion of the single leg deadlift exercise, the urge to maintain eye contact with the mirror causes excessive extension in both the neck and low back. This puts unnecessary added stress on the spine, and ultimately, turns a great exercise into a bad one! Yes, coaching and cueing can definitely improve poorly executed exercises, but as human beings it is natural to want to look in the mirror. We like to be able to see what our bodies are doing. The best cues in the world may not be enough to combat this urge of the visual system in some individuals. Now take a look at this video with the same individual performing a single leg deadlift without a mirror in front of him. Take the mirror away and the exercise becomes great again. The individual maintains a neutral spine throughout the whole movement, allowing strain on the back to be reduced. Removing the mirror also promotes the individual to reinforce his kinesthetic awareness, or his recognition of where his body is located in space as he moves. This is an extremely important skill to refine because we don't walk around with a mirror in front of us all day! So whether you're a clinician, trainer, aspiring student, or just working out on your own, it is important to understand that a mirror can act either as an affordance or a constraint. Use it to your advantage when needed, but do not become reliant on the mirror in your exercise programs. Are abdominal exercises uncomfortable for you? Do you ever catch yourself counting faster as you begin to feel the burn during a plank? If the answer to the last question is yes, the chances are when you begin to count faster, your breathing changes. You may exhale more quickly, or you may even hold your breath. This can pose problems for you in the long run. It may not only reduce the benefits of a particular exercise for you, but it can also impact the way your body moves as a whole. Instead of counting reps or timing your core exercises, try counting your breaths. When doing so, breath slowly and controlled. Focus on exhaling fully and feel a strong contraction in your abs. Your rib cage should be tucked down and inward. This technique will allow you do get more out of your abdominal exercises, and as a result, you can accomplish them in a shorter amount of time. Sounds good right? Watch this video of a Hollow exercise being performed with an individual counting to 10. Now watch the difference in this video. The Hollow is being held for 4 breaths. *Note* Look at the wrinkling of the shirt in comparison to the first video. By counting your breaths during sets of exercise, it allows you to turn on the correct muscles for that movement. On the other hand, if you hold your breath during an exercise, extra muscles are activated, which can lead to movement dysfunction. Breathing improperly can also make exercises more difficult for you. It can take what is called a low-threshold strategy and turn it into a high-threshold strategy. What this means is you recruit and activate more muscles than are needed for a particular movement. This is inefficient for your body. Over time, it can lead to overuse of certain muscles and compensations that negatively affect our movement. Learning to recruit your abdominal muscles effectively will give you more proficient abs. Yes, a 6-pack is largely achieved in the kitchen as well as the gym, but improving your core through breathing properly will help your whole body move better. Counting your breaths can also assist you in maintaining good posture. It helps you make sure your postural and core muscles are activated at the correct times. Oftentimes, what people may assume to be weak abdominal muscles is more of a timing problem. Counting breaths is a great way to improve the timing of the firing of your core muscles, and overall efficiency of your movements. It can also be effective to count your breaths when working on your mobility and flexibility. So go ahead, try counting your breaths, feel the difference, and spend less time by getting the most out of your core exercises! Do You Suffer From Stiff Ankles? Try "the Wiggles"
Ankle dorsiflexion (pointing your toes upward) is one of the most common limited motions. If you feel you have stiff ankles, you may think it’s from tight calf muscles or all those ankle sprains you have endured playing pick-up basketball. Those things can absolutely cause inflexible ankles. However, oftentimes lack of ankle dorsiflexion is a result of faulty movement mechanics. Observe the limited amount of ankle dorsiflexion (even with the gastroc on slack) displayed at the beginning of the video. Then check out one of the quick techniques we use at Soul PT to improve ankle range of motion. We call it "the Wiggles." As the nervous system ultimately controls our movement, this lack of motion can be due to an overly sensitive nervous system. Consequently, our brain may perceive a threat in that particular motion, and as a result, restricted range of motion and pain may arise. This can alter the mechanics of the way we walk or run, and cause pain in the knees, hips, or back, as well as the ankle. In order to decrease this undesirable perception to the nervous system, a novel, nonthreatening stimulus needs to be introduced. This will calm the nervous system down and allow range of motion to be restored temporarily. Ultimately, when range of motion is reestablished, we are given the opportunity to correct our movement in order to reduce pain in other areas of the body that may be associated. To perform this technique, wrap the band lightly, so it will stay on but no cut off blood flow, just below the knee. Twist the band back and forth, taking up the slack of the tissues in both directions. This will help relax any tension in the muscles of the lower leg. Continue twisting the band for about 30 seconds, and then retest your ankle dorsiflexion! There are many different options for improving ankle dorsiflexion, but this technique is simple and effective. If you try this technique and you are still experiencing ankle pain or stiffness, come see us at Soul Physical Therapy. The squat is a compound exercise. As with any complex movement there are many muscles working together to maintain proper form throughout the squat. If any of these muscles become weak the balance between muscles gets distorted. This imbalance can lead to a dysfunctional pattern ultimately increasing the chances of injury. Take a look at this squat and watch the back fold excessively forward. Because the squat is primarily a lower body movement, you may think this folding is due to tightness or weakness in the legs, or possibly a limitation in range of motion. However, lack of trunk stability and control may lead to this folding during the eccentric (lowering) portion of the squat. Now, how can we fix this? By pushing the individual into the faulty pattern, we elicit an increase in the recruitment of weaker muscles thus fixing the form. In the case of folding during the squat, applying an anterior load will help fire the extensor muscles. These muscles help maintain a more upright posture throughout the movement. The farther away from the body you hold the weight the more tension you create. If you are a chronic folder this technique with lighter weight is a good starting point. As you become more comfortable bring the weight in closer into a goblet squat where you can start increasing the weight. So on your next leg day add some goblet squats into the mix and feel the difference! Having shoulder pain or stiffness? Give this reset a try. Ballistic Repeated shoulder extensions are a great way to restore shoulder motion or decrease pain. This technique is specifically beneficial for restoring shoulder internal rotation limitations that can contribute to shoulder pain. We constantly spend the day reaching forward, sitting at work, typing, on our phones. By whipping your shoulder into the end range of extension you are providing a novel input to the nervous system. This helps decrease threat, restore range of motion, and reduce pain temporarily. As long as this movement is not increasing your pain, try these shoulder whips to increase shoulder functionality. Performing the whips before working out may help improve mobility and decrease pain with upper body exercise. Since the positive effects of this simple movement are initially temporary, it should be repeated regularly throughout the day. Performing 10 shoulder whips per hour would result in more permanent results. For any shoulder issues make sure to give us a call!